3 Separate Compartments. Approximate Size: 2 1/2" W x 1 1/2" H Imprint Area: 1 1/4" W x 3/4" H Packaging: Cello Bag, 500 per carton @ 10 lbs. 4 Separate Compartments. Approximate Size: 3 1/2" W x 2" H Imprint Area: 2 1/2" W x 3/4" H Packaging: Cello Bag, 500 per carton @ 29 lbs. 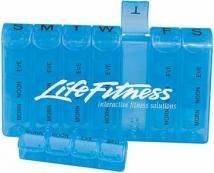 3 Compartment Pill Holder. Approximate Size: 3" Diameter Imprint Area: Straight Line Copy: 2" W x 1/2" H Half Moon: 2" W x 3/4" H Packaging: Cello Bag, 500 per carton @ 29 lbs. 6 Separate Compartments. Approximate Size: 3 1/4" W x 2 1/4" H Imprint Area: 2" W x 1" H Packaging: Cello Bag, 500 per carton @ 29 lbs. 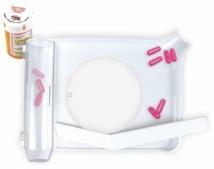 A convenient way to hold your pills, Capsule closes for safety. Imprint area : 5/8" w x 3/8" h Packing / Shipping weight : 500 per case/25 lbs. 7 Removable Compartments. Approximate Size: 7 1/2" W x 1 1/4" H Imprint Area: Front: 5" W x 1/2" H Packaging: Poly Bag, 500 per carton @ 25 lbs. 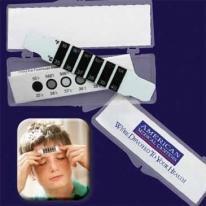 Forehead Thermometer. Color: Clear Case w/White and Black Thermometer. Item Size: 3 13/16" x 1 1/2" x 3/8" Imprint Areas: 3 1/4" x 1" Max. Imprint Colors: 2. Addl Run Charges: $.25 Per Color. Packaging: Polybagged. Items per case: 100 Carton Weight: 3 lbs. 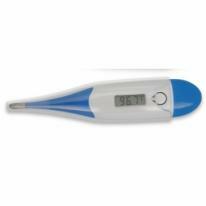 Thermometer Pen. Size: 5.5" x .75" Imprint Area: 1.25" x .25". Non-toxic. Keep in freezer. Provides up to 30 minutes of relief for pain, swelling or fever. Size: 4-3/4" Dia. Imprint Area: Front or back: 3-1/4" Dia. Weight: 100 Pcs. / 35 Lbs. This clever design allows you to store up to 28 doses of pills, and features 7 removable pill strips, each with 4 compartments, which are ideal for short trips. Each strip springs up for easy removal, which makes it perfect for seniors! 7 individual pill strips, each with 4 compartments Spring-action base in each strip compartment for easy removal. Materials: Plastic. 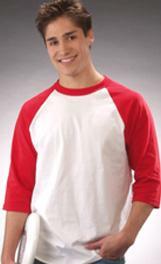 Size: 7-3/4"w x 4-5/8"h x 1-1/2"d. Imprint Area: Front, 6"w x 1-3/4"h, 2 color(s) max. Packaging: Bulk Pack Of: 50 Weight: 22 lbs. A Proud And Professional Pharmaceutical Tool. Professional features at a value price, large spatula (included) and polished, smooth surfaces for accurate pill counting and dispensing. The crystal-clear, hinged tube cover opens widely and closes tightly, pours safely and easily. Attractive design with a round, clear, centered imprint area for handsome imprints that are always noticed, individually poly bagged. Note: Copy is printed on the underside of the clear window so pills do not come in contact with the ink. For additional printing on the Spatula, add second-color imprint charges. 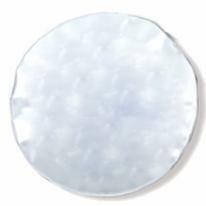 Colors: White with Clear Window and White Spatula. 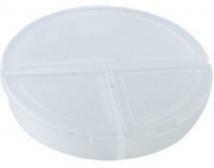 Material: Plastic Size: Tray - 6" x 7", Spatula - 3/4" x 7" Imprint: Tray - 2 1/2" x 2 1/2" Diameter Shipping: 15 lbs/55 pcs.